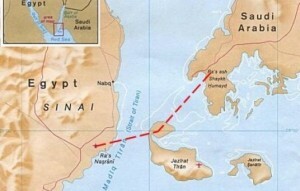 Saudi Arabia has offered Egyptian parliamentarians who voted in favor of the transfer of the Red Sea Islands to the Kingdom Mecca visas, London-based Qatari The New Arab reported. The gesture comes one month after the Parliament churned the Administrative court to approve the surrender of Tiran and Sanafir to Saudi Arabia in a controversial vote denounced by millions of Egyptians. The Parliament approved in June the secret deal struck last year in April during King Salman’s visit to Cairo. An unidentified source told The New Arab that around 1,800 visas, which permit holders to visit Mecca for the yearly hajj ritual, were handed over by the Saudi Embassy in Cairo to the Egyptian parliament’s general secretariat. Each lawmaker could get three visas if divided by equally. The secretariat notified MPs through text messages to present the names of relatives and others they wish to benefit from the visas within the week, the source said. The number of visas offered by Riyadh is three times the number of visas given to parliament members last year, The New Arab reports. Saudi Arabia customarily each year grants mecca visas to Egyptian officials and other individuals including journalists and media outlets aligned with President al-Sisi’ regime. Egypt this year will receive 78,138 visas against 62,511 last year in reward for the parliament’s backing to the transfer of the Islands.